– Click Apply, then OK.
You should now be able to view your thumbnails. 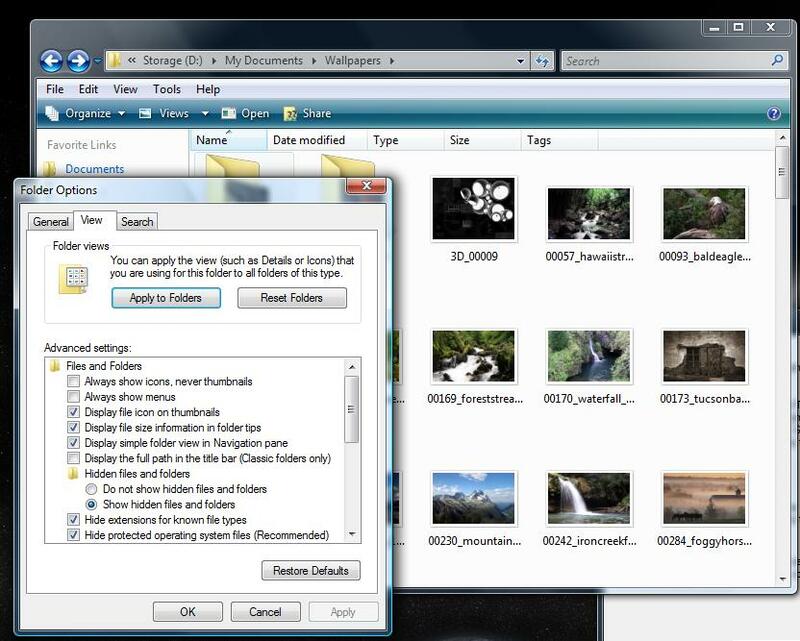 See below for the Folder Options dialog box. 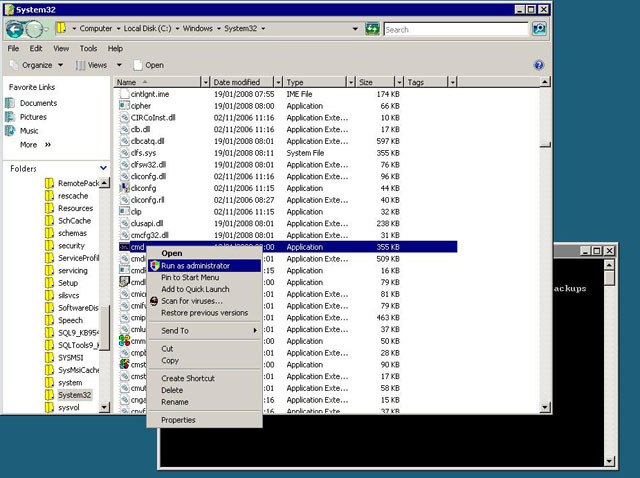 The computer management console for Server 2008 has changed slightly between now and Windows Server 2003. I was trying to ensure a particular user was setup as a local administrator on a Windows 2008 Small Business Server today, and couldn’t find the option to do this via the GUI. Anyway, for those wondering how this is done using the command prompt, here is the solution. (Obviously replace (domain)\(username) with your domainname\username that you want to be the local admin) – That is without the brackets. You should get a message saying the command completed successfully. If you get an access denied error, you more than likely have not run cmd.exe as an administrator. I have been using Windows 2008 Server Standard as my operating system of choice at home for quite a few months now, and twice I have had to change my password due to the security policy in place by default. This setting forces you to change your password every 42 days. Anyway, up until now I had been too lazy to disable the policy. So for those of you who don’t know where to do this, here is how. 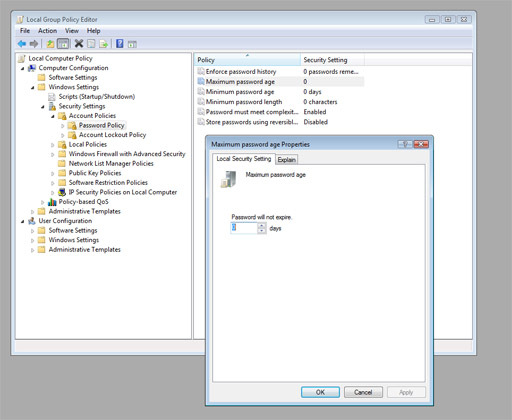 Change this to setting to 0, and then click OK.
Close the Group Policy editor, and from now on you won’t have that annoying mandatory password change every month or so.